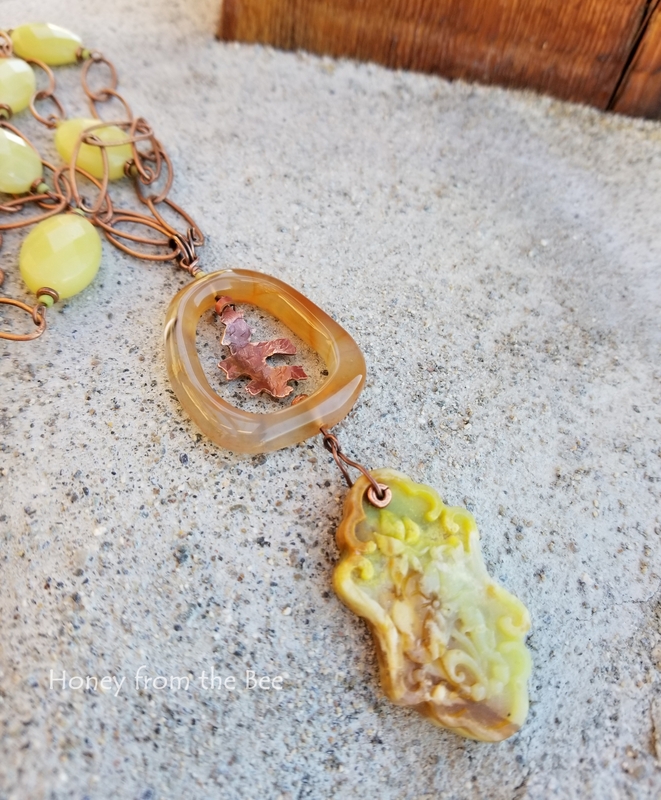 This tunic length art necklace is for the one that finds solace, peace, and renewal in nature. A few years ago I heard of the word apanthropinization. It's an ancient word that means the act of withdrawing from humanity and its inevitable turmoil and anxiety. How appropriate does that sound in today's world?! It's meaning originated from the primitive human urge to surround oneself in beauty, especially nature's. So when I find my power and peace in nature I'm just sinking into that primal urge. Perhaps you can relate? I patiently sawed a copper oak leaf out of copper sheet. I then forged it and gave it a patina and framed it in a carnelian agate frame, a gift from a friend that shares so much with me. 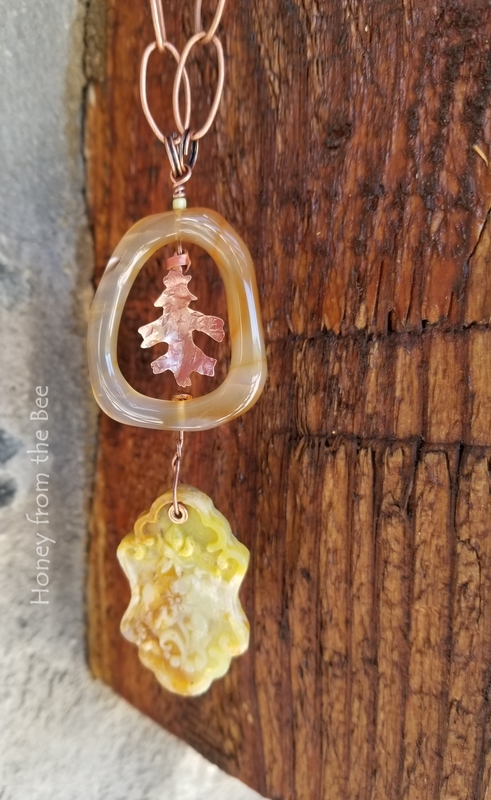 I dangled a carved yellow opal with a natural theme. A chain of copper and faceted jade beads complete the picture. 32" long chain. 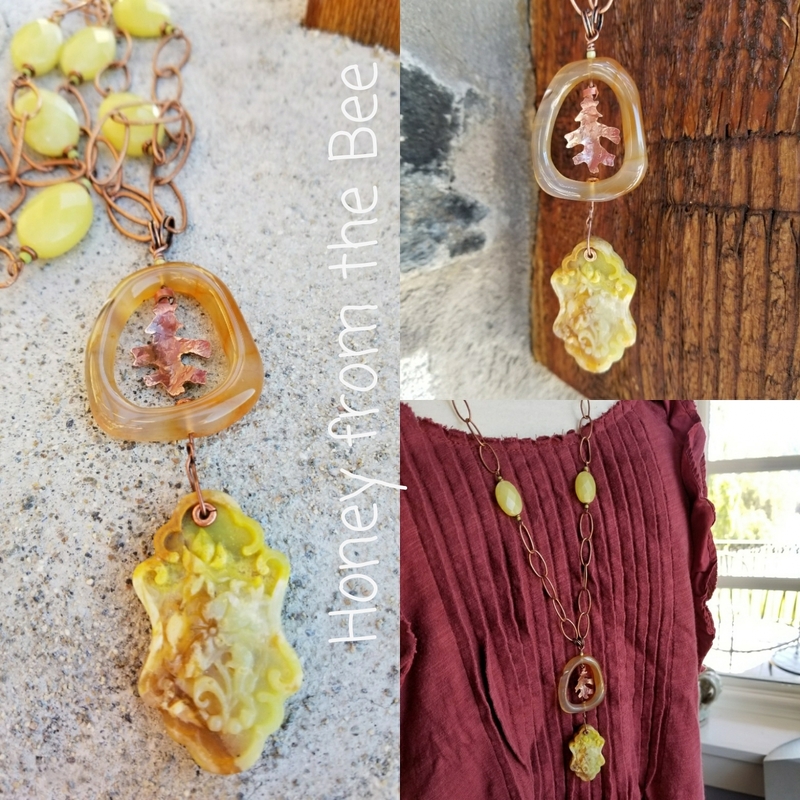 Pendant is 3 3/8 inches from top of the agate frame to the bottom of the carved piece.